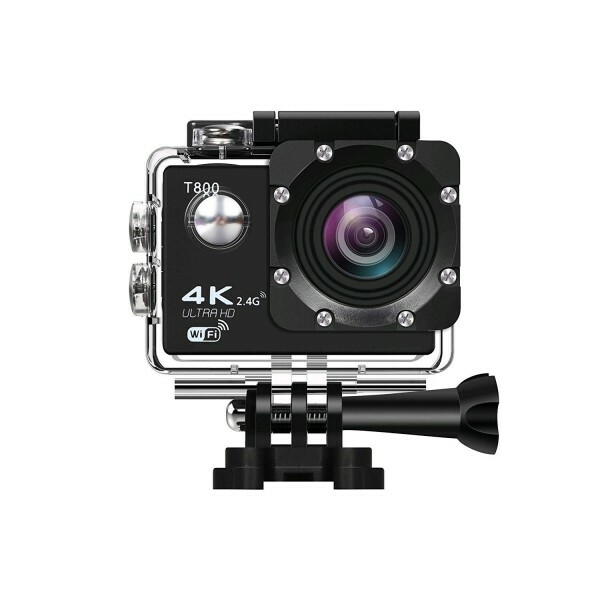 【4K Ultra HD Action Camera】Please remove the screen protector before power on. 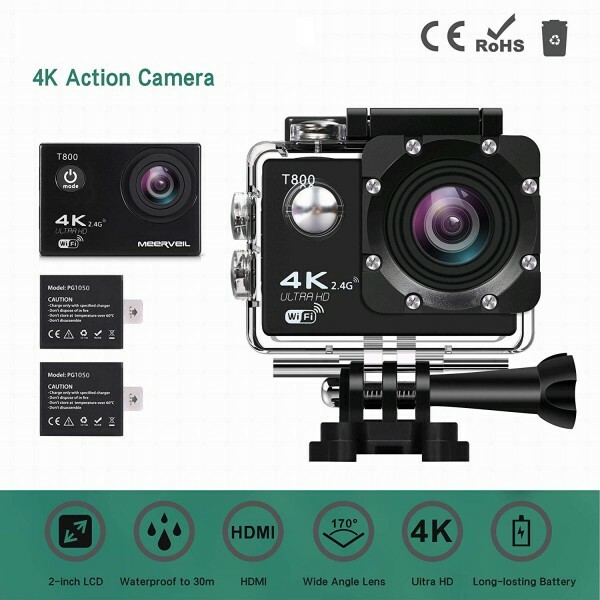 Professional 4K 30fps & 2.7K 30fps& 1080p 30FPS video with 16MP photos at up to 3 photos per second for incredible photos, which is 4 times the resolution of traditional HD cameras. Capture and share your world in a fantastic resolution. 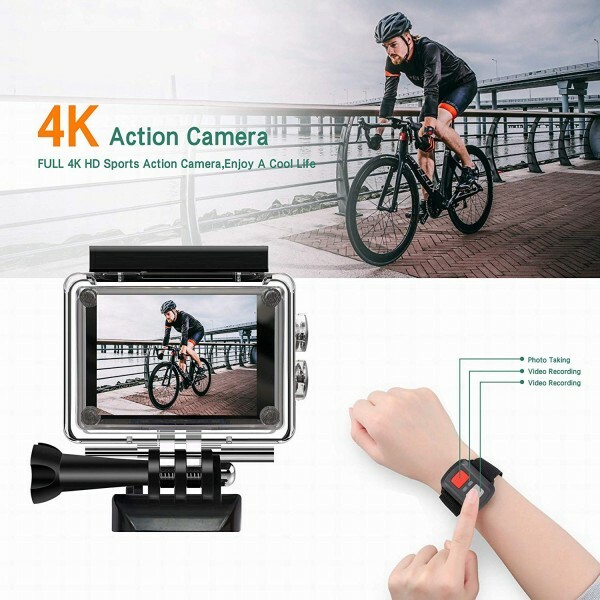 【Wireless Wrist Remote Control Sports Camera】 Featuring a wrist 2.4G wireless RF Remote Control, you can capture your world in an all-new way. Controlling the camera, framing shots or recording video are now ultra convenient-just press the button of the Remote Control. No more looking to your Sports Camera to start and stop recordings or snap photos. Full control your Sports Camera with the remote. 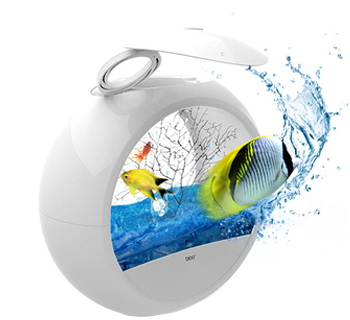 【Longer Battery Life】This action camera work with rechargeable 1050mah batteries. Detachable battery for easy replacement and help extend product lifespan. 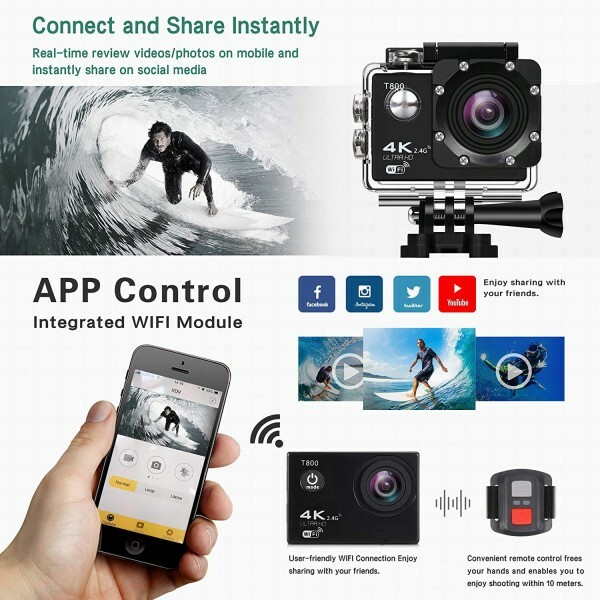 【Multi Support】Supports SD card memory expandable up to 64GB(NOT included),Supports multiple video recording formats:4K/2K/1080P/720P/WVGA,supports MP4 recording format. 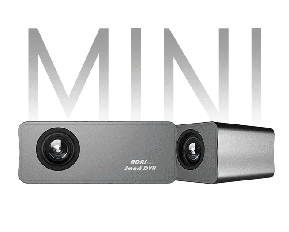 Ultra HD 4K Video Recording. You can capture stunning 4K 30fps/2.7K 30fps/1080P 60fps 1080p/30fps/720p 120fps video which is sharper and more life like than ever. High-resolution, high frame rate 4K 30fps and 2.7K 30fps video delivers distinctly smooth video. Edit & Share Your Action in Minutes Built-in WIFI (2.4G), view and share your action in minutes. 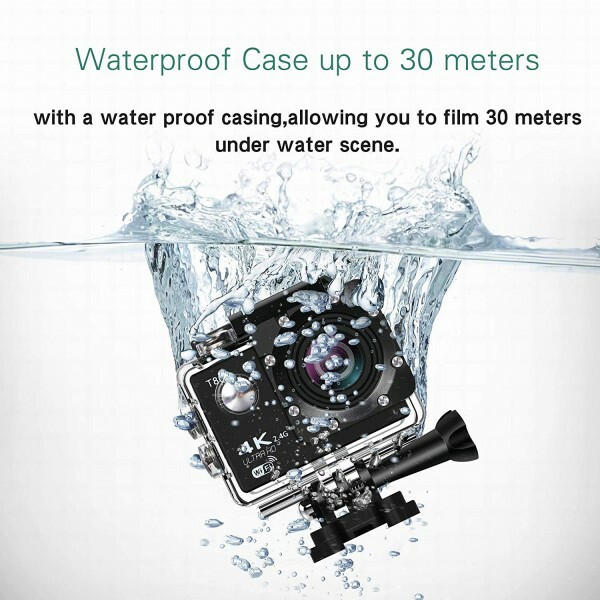 You can download App on your phone or tablet and connect with this action camera. Then operate or review the images or videos via Android or iOS devices. WiFi signal ranges up to 20 meters! Shift Your Action As You Like Use the remote control of the camera to choose the mode you prefer as you recording. You can shift from video to photo,burst photo to time lapse with just press the button of the remote for super convenience. 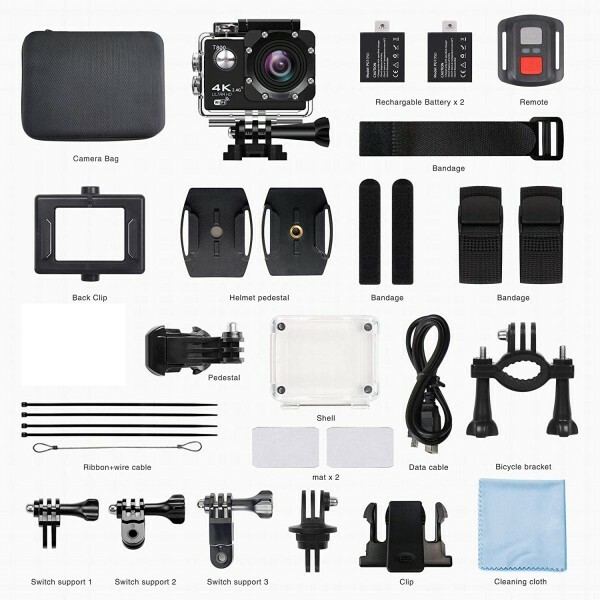 Get all Your Need in a kit Comes with many standard useful accessories you will also find many cool stuff that you can mount your camera on the bike, the surfboard, helmet, car and anywhere you want, enjoy your life!